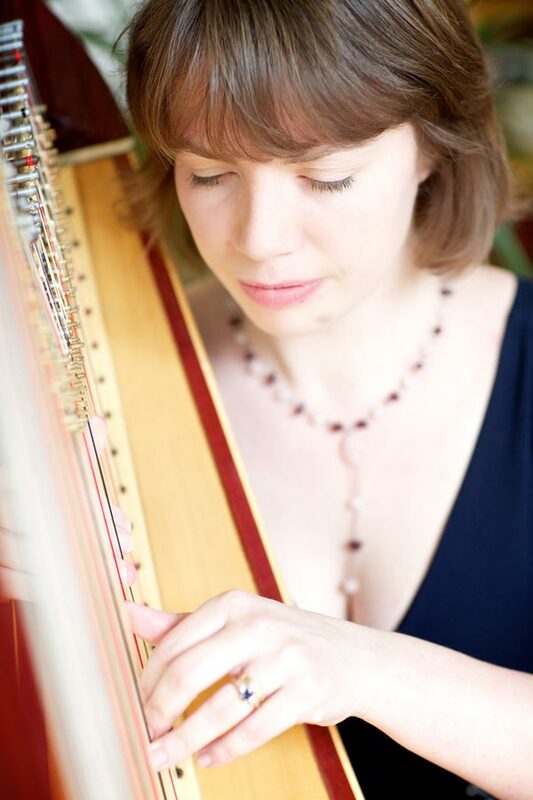 A highly accomplished harpist, having trained with some of the country's leading harp specialists, Sally has a wealth of experience as a performer and teacher. Browser does not support this audio element. Please upgrade your browser to IE9, Firefox 3.5, Chrome 3.0 or Safari 3.0. Sally is able to offer a wide range of popular, classical and folk music to provide a beautiful musical interlude to your ceremony or create a romantic and subtle ambience in your drinks reception and/or wedding breakfast. Sally is a supportive, innovative and highly-experienced teacher, having, alongside harp teaching, spent the last ten years working as Director of Music in leading independent schools, (Clifton High School and The Royal High School, Bath). She enjoys teaching students of all ages (thus far, her youngest has been 5 and the oldest, 90) and can coach from beginner to advanced level. Her students enjoy considerable success in Associated Board and Trinity examinations and many have gone on to study Music at university level. Sally Harp by Elliott Richmond.